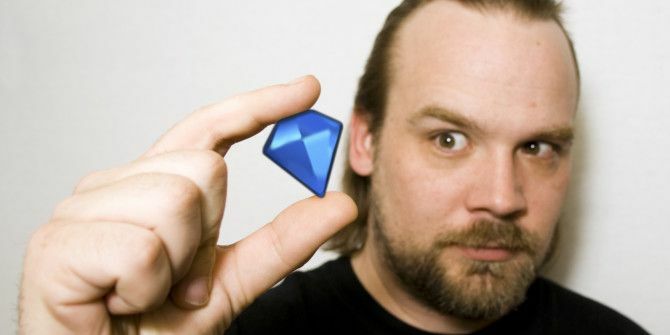 Before you were addicted to Candy Crush and before a gazillion other “connect similar-looking objects” games were made, there was only Bejeweled. It’s one of the best games on iPhone and Android and now, Bejeweled Blitz has had a big update that introduces new gems, a high-res version for tablets and some more features. Developer Popcap Games (the guys behind the awesome Plants vs. Zombies 2 Plants vs. Zombies 2: Does Going Free-To-Play Mean The Death Of The Series? Plants vs. Zombies 2: Does Going Free-To-Play Mean The Death Of The Series? Since EA has taken the reigns at PopCap, Plants vs. Zombies 2 has been released for free. By free I am referring to the game being free to download initially, with plenty of in-app purchases... Read More ) has rolled out what it claims is the most requested feature, Vaulted Gems. “Vaulted Gems have unique effects on the game board, pack a punch, and are only available for a limited time!” AppAdvice says, quoting the press release. The update introduces the rare Ice Burrrst gem, which Popcap describes as a “wintery delight”. This is the highest scoring gem available for mobile users, as it detonates large sections of the board. Popcap has also debuted the new Items Box to manage your rare gems on mobile—a feature that was previously only available on Facebook. Any new rare gems you earn will automatically be deposited into this Items Box. Finally, the update also supports HD 720p resolution to let you enjoy the game on devices with higher resolution. Bejeweled Blitz is a great game to get your brain working 3 Free Addictive Puzzle Games To Get Your Brain Working [iPhone] 3 Free Addictive Puzzle Games To Get Your Brain Working [iPhone] As the life cycle of Apple's iOS has developed, there seems to be more and more emphasis on massive 3D games that rival the DS and the PSP. This is fine, I enjoy games like... Read More , and this new update only promises to make it better. You can download it now from the Play Store or App Store for free. The Positive Impact of Social Networking Sites on SocietySmartglass with the Xbox One – Is it actually useful now?